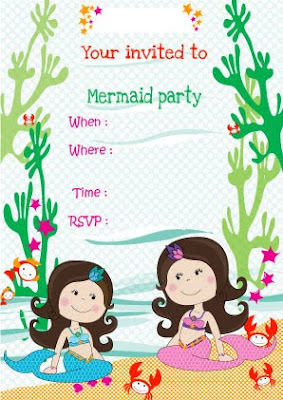 It's Birthday time for my girls and we have come up with this cute Mermaid invitation which you are free to use if you wish, inspration has been taken from our Idtee Mermaid design ID251. 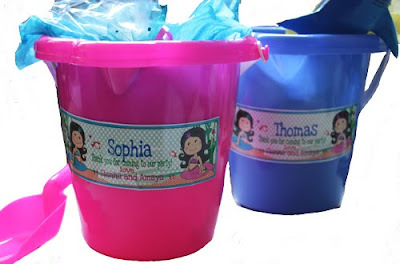 My Girls are so looking forward to their party, we have made our thank you lolly bags this year using sand buckets. Inside includes our homemade bath bombs with glitter as well as under the sea temporary tattos and fish bubble bath for the girls whilst the boys have shark squirters. Lets hope the kids enjoy these, as much as we had fun making them.